I've been trying to get Wilf to eat his vegetables lately. It's funny, he used to be so good with eating but for the past few months he will only eat carbs and fruit, oh wait and cheese of course he wants it with everything! He will also eat eggs but heaven forbid you cook him the wrong sort, toddler life is hard. I thought it was yummy though, and it's super simple to make if you fancy a quick and healthy lunch. Remove from heat and allow to cool slightly. 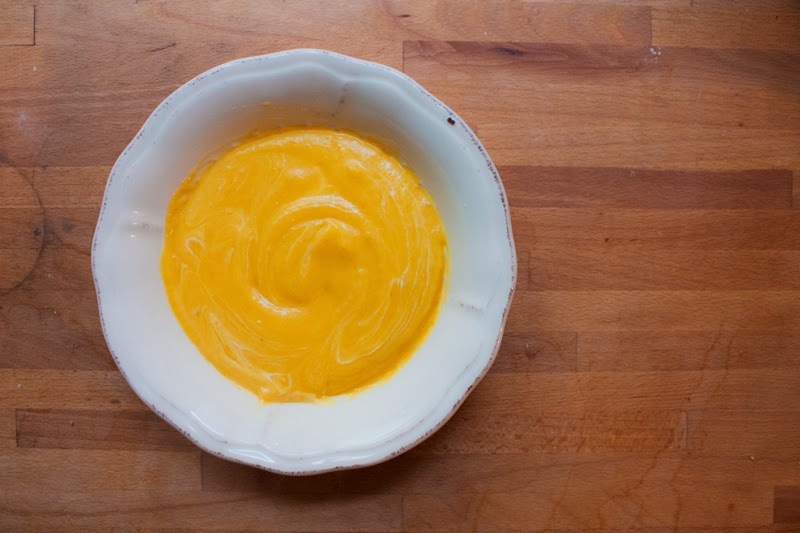 Puree the soup until smooth with a hand blender and serve with bread. Yum! Sound like a familiar story in our house - i have started the military operation of trying to get Flynn to eat a more varied diet. After being poorly at the beginning of the year he decided to 'not like' certain foods - he was becoming vegetarian (not eating meat) but also refusing to let any vegetable pass his lips!! This week he has been allowed to eat whatever he wanted for his dinner if he had a vegetable 1st (3 slices of carrot, tablespoon of peas etc) and yesterday I finally got him to have 1 slice of wafer thin ham inside his normal sandwich of bread and butter!! :D Its a hard slog but it getting there - refusing them something other than what is in front of him seems to work for us. It would have to be the play dough ice cream set for us too! I always have carrots in the house as my toddler loves to eat 'crunchy munchy carrots' (raw carrot sticks) so this is perfect for a soup making newbie like me. That looks delicious! Toddlerdom is hard, hard work!! hi, is this giveaway open to the US? thanks! Oh that sounds so simple and looks so delicious. My youngest has just got a fondness for raw carrot but wont go near it cooked, and another who is the opposite - kids and their diets aye! I would pick Frankie! Frankie is my daughter's favorite.